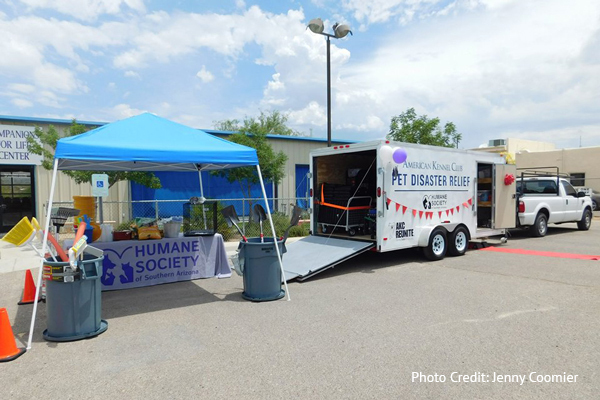 Tucson pets will be a little safer now that the Humane Society of Southern Arizona (HSSAZ) has obtained an AKC Pet Disaster Relief trailer, an emergency trailer that helps create a safe, temporary home-base for at least 65 pets immediately after a disaster is declared. 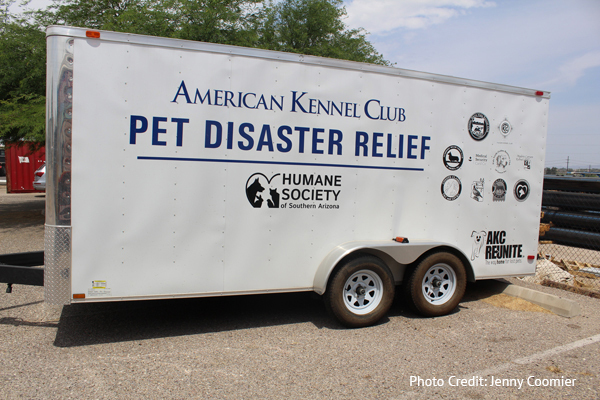 Steve Kozachik, Tucson Ward 6 Council Member, Sharon Bronson, Pima County District 3 Representative and Jan Lesher, Assistant County Administrator will show their support for the new trailer by attending its unveiling on June 24th at the Humane Society of Southern Arizona. 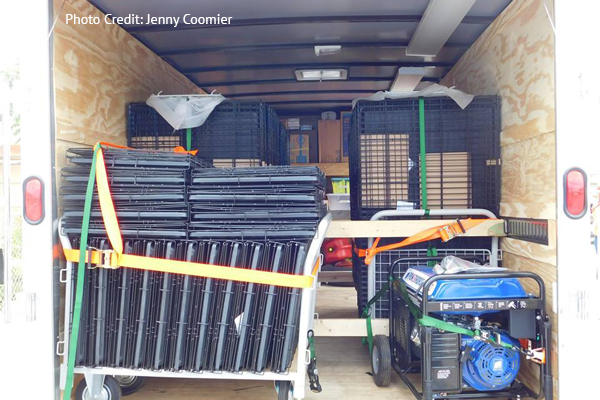 The trailer’s purchase was made possible by more than $22,000 in donations from members of the American Kennel Club’s local clubs, including the Tucson Kennel Club, Greater Sierra Vista Kennel Club, Madera Canyon Kennel Club, Coyote Classic Dog Shows, the Dalmatian Club of Greater Phoenix, the Arizona Shar-Pei Club of Phoenix, the Palo Verde Golden Retriever Club, the Sporting Dog Association of Arizona and the Pembroke Welsh Corgi Club of America, as well as the Stewards Club of Arizona, Marki-Seneca Standard Schnauzers, Southern Arizona Veterinary Specialty and Emergency Center, Medical Security Card Company, LLC, and AKC Reunite, the nation’s largest non-profit pet identification and recovery service.